Woodley will examine the history of European colonialism and Christian mission among native North Americans, providing an introduction to First Nations life and spiritualties from the past to present. He will also explore alternative models of coexistence that may be more effective than past efforts in understanding Native American values and worldview. Attendees will be challenged to incorporate these values, worldviews and theologies into their own authentic lives. d’s intercultural studies master’s-degree program. 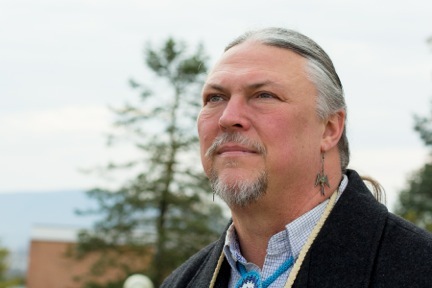 As a distinguished lecturer, teacher, historian, and activist, Woodley addresses a variety of issues concerning American society, faith and Indigenous culture. His expertise has been sought in national venues such as The Huffington Post, Moody Radio and Time Magazine. Through dialogue, speaking engagements and blogging, he is active in ongoing discussions concerning spirituality, racial and ethnic justice/diversity, peace, eco-justice, inter-religious dialogue, Indigenous theologies, postcolonial theologies and Christian mission. Visit his blog, Ethnic Space and Faith, to read his posts.